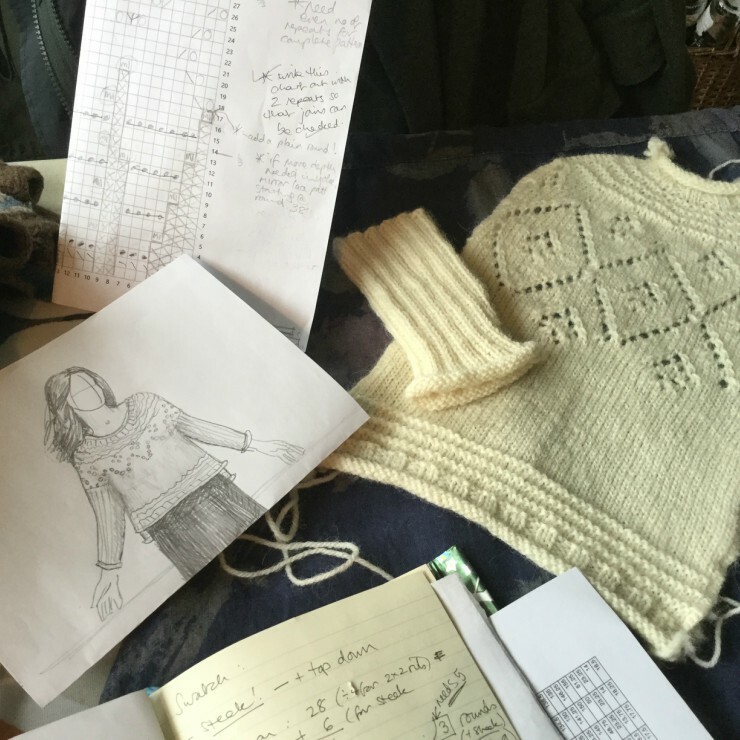 I thought I’d write a quick sum-up from Edinburgh Yarn Festival. I was incredibly lucky this year to attend as a vistor and vendor too. I drove down to Edinburgh on the Friday and spent a lovely day in the Corn Exchange on Saturday. The market place really was incredible – so many very high quality vendors. Apart from feeling rather overwhelmed and not knowing where to start, I had decided in advance not to buy any yarn. 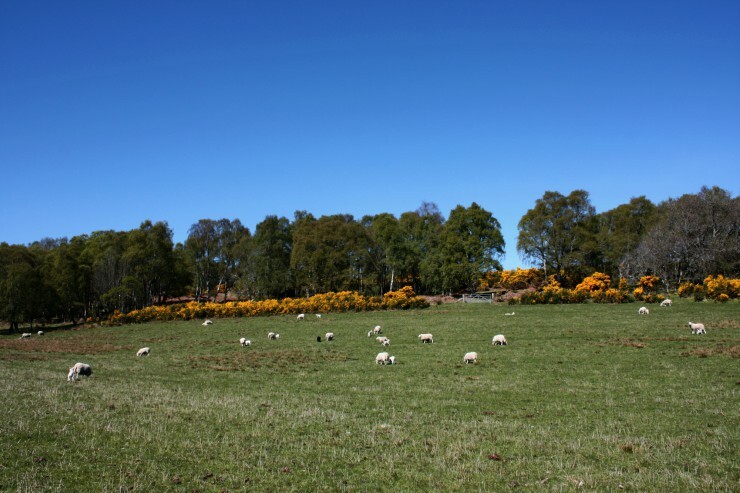 I really struggle to find the time to knit samples and so on in Black Isle Yarns and I knew that if I bought any yarn (however much I’d love the yarn itself and enjoy supporting another business) I’d end up feeling torn about when to use it. I did however enjoy buying some beautiful buttons from Lydnsay at the Border Tart, lovely knitting themed cards from Julie at Tillyflop and some new chiaogoo bamboo needles from Purlescence. I struggle a bit with crowds, and while the market place wasn’t heaving it was busy, and I kicked myself once I got home for not having visited some of the stalls I really wanted to see…….next time! An addition this year was a huge marquee at the back of the venue which could seat 500. This was a wonderful place to relax and chat and catch your breath in between forays into the market place. I loved this extra space. On Sunday I had a Black Isle Yarns stand at the Meet the Shepherd/ess event, also held in the Corn Exchange. I had been really looking forward to it but was completely blown away by the response to my yarns. I had so much fun but, my goodness, it was tiring. Luckily Emily had offered to help out – without her I think the stand would have been utter chaos. 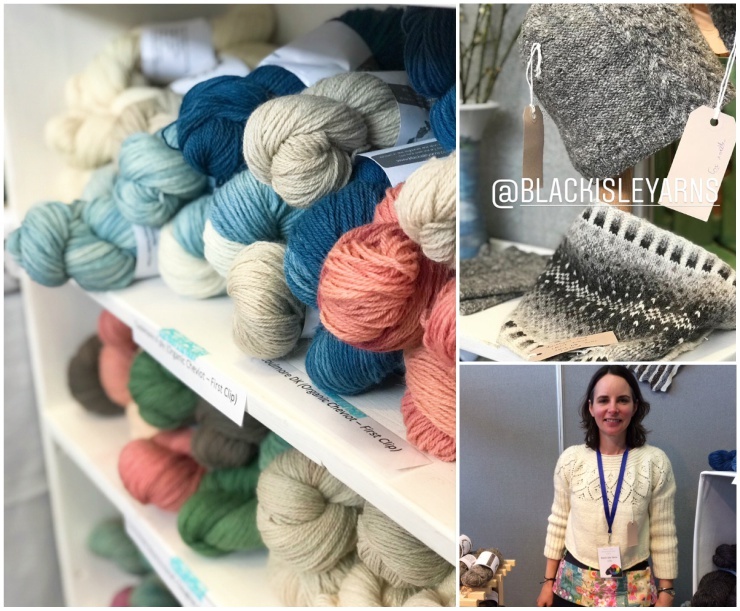 We were kept completely busy for the first 3 1/2 hours (of 4 in total) – we’d imagined there would be time to potter off and look at the other vendors (whose yarn I would have loved to have seen! )……but that simply wasn’t possible. 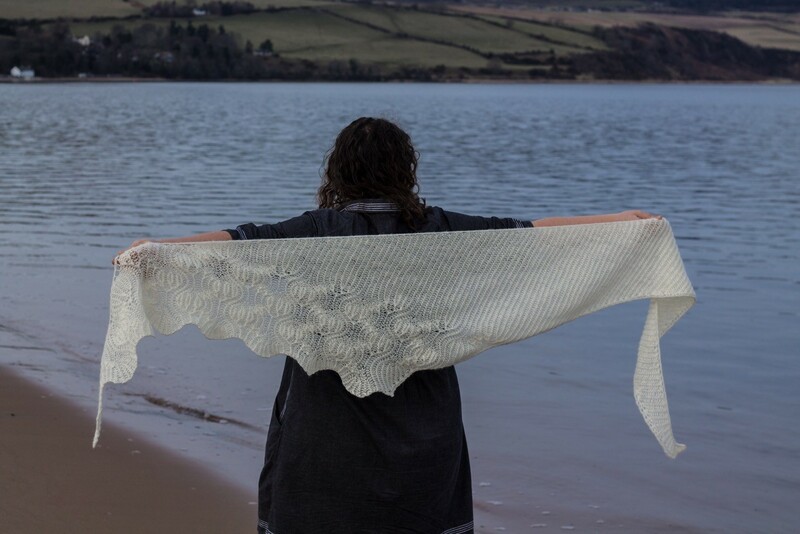 Thank you so much to everyone who came past, chatted and supported Black Isle Yarns. I really do appreciate your interest and enthusiasim, it means a lot to feel that perhaps my plans are not so daft after all! I completely forgot to take any photos at all. Huge thanks to Elin and Kate for sharing theirs with me. And thank you so much to Jo and Mica, the EYF organisers, for putting on such an amazing show – and for allowing me to be part of it! 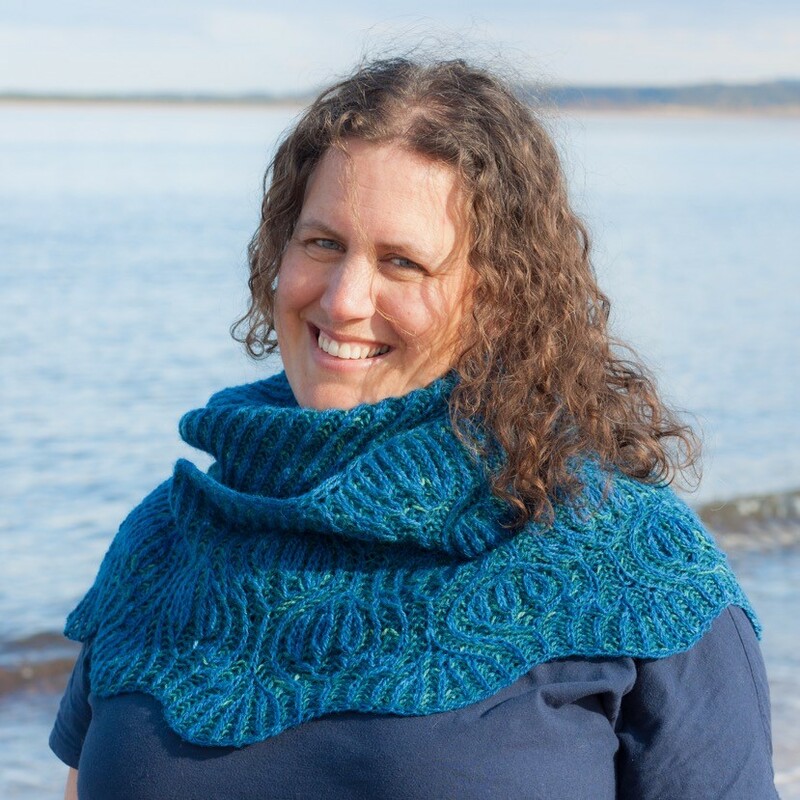 I’m really pleased to be able to share the latest Black Isle Yarns design. 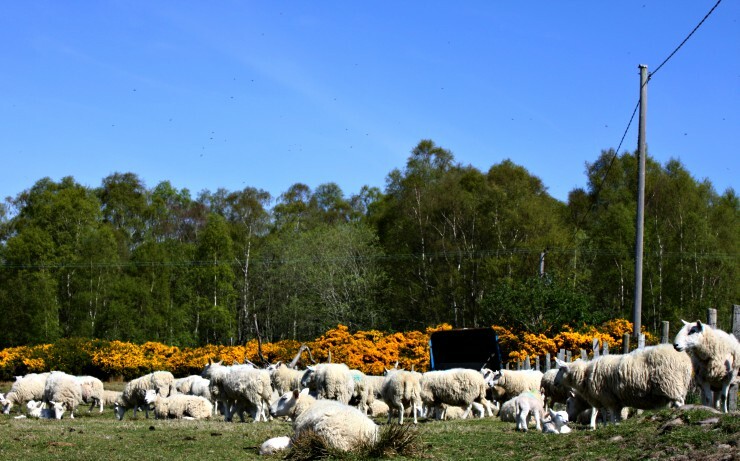 The Erradale Shawl is a beautiful design by my friend Emily Williams – which is rather appropriate since she found the flock who grew the wool for the lovely Coulmore yarn (see this post for more information)! ”Brioche lace suggests the foamy sand patterns left behind when the tide goes out, as rhythmic and soothing as the receding waves. Erradale is a deceptively simple knit, equally eye-catching in one or two colours. 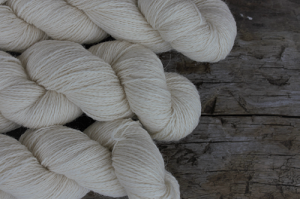 Erradale uses two skeins of Coulmore 4ply and can be knit with two undyed skeins, as per Emily’s original, or one skein each of two different shades. I think either version is stunning. The shawl is a simple brioche design starting from the narrow tip and increasing to the brioche lace at the end. 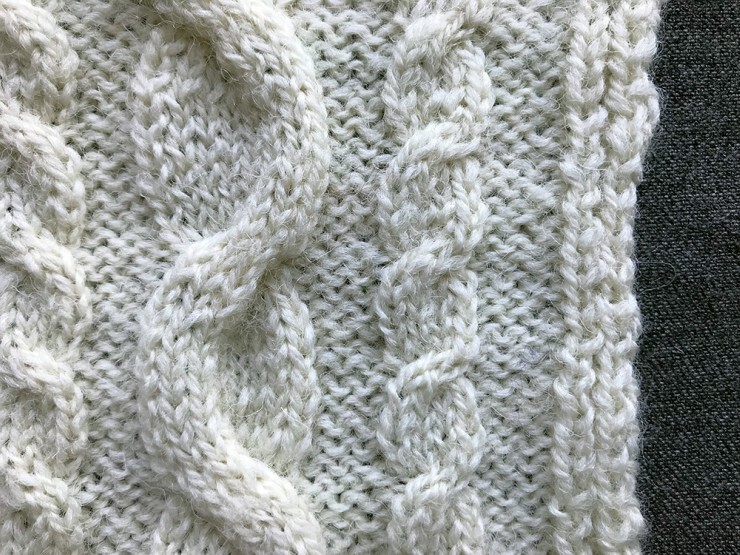 It is a good introductory brioche pattern – if, like me, you’re new to brioche then Emily highly recommends Nancy Marchant’s turtorials. 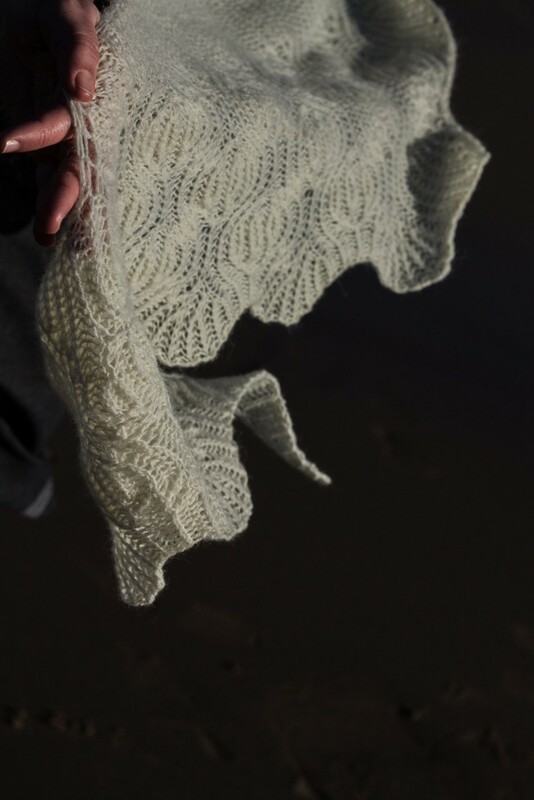 I’m really looking forward to seeing lots of Erradale Shawls out in the wild in the future! 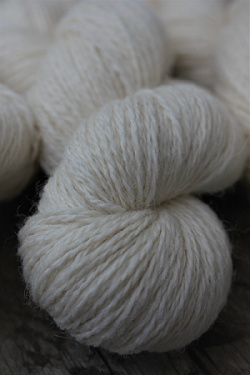 I’ll have a shop update on Saturday 31st March focusing on Coulmore 4 ply, with individual skeins of undyed yarn and kits with two naturally dyed shades, one of each of the two used in the dyed version (beautifully sample knit for me by Clare Shaw. 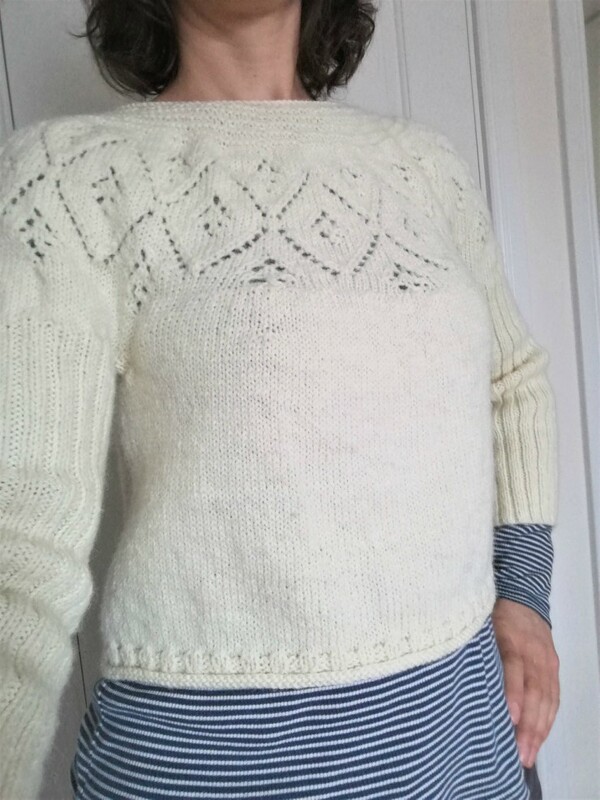 Clare is another lovely knitting friend and a superb, and very fast, knitter!). 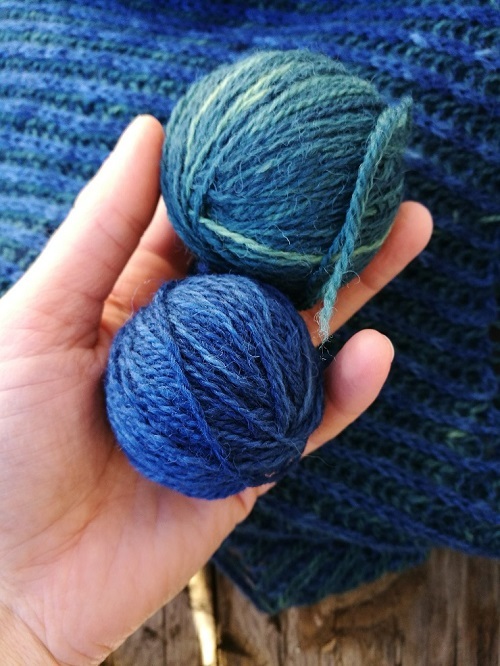 The photo below shows a close-up of the two shades, the top is dyed with indigo over heather flowers and the bottom is indigo alone. I love the effect of the two together – I think of them as peacock colours but I have heard someone else suggest stormy seas.